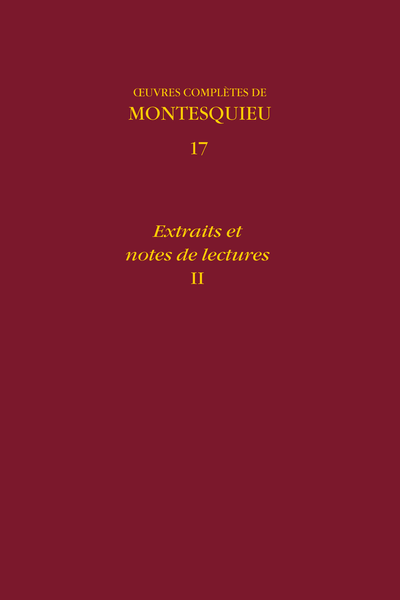 Abstract: Montesquieu’s marginal notes and the sometimes very developed extracts from works that make up his “manuscript library” were mostly unpublished. They are an essential access point to his work, revealing his working methods and the genesis of his thinking. Number of pages: XXXVI-732-13 illustr.